Dr. Sopel is a big proponent of conservative dentistry, in that his main goal is to help his patients protect and preserve their natural teeth for as long as possible, because nothing is as strong as the teeth you’re born with! 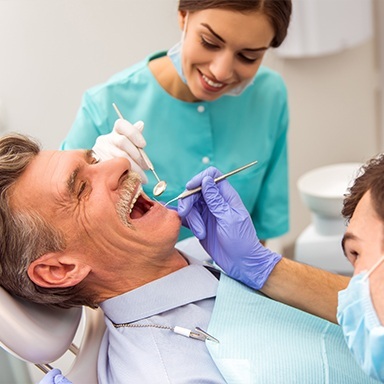 To do this, he provides a variety of preventive services designed to stop dental decay and damage as quickly as possible, saving patients from developing bigger issues down the line. To schedule an appointment so he can start safeguarding your smile, contact us today. 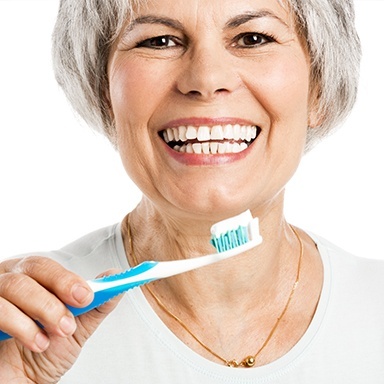 Why Choose Horseshoe Bay Dental for Preventive Dentistry? These routine appointments give Dr. Sopel the chance to learn everything he can about your dental health. By regularly examining your teeth and gums, he can find and treat decay and infection at their earliest stages, making the process fast and easy. Our hygiene team will also remove any plaque and bacteria to further protect you from cavities while breaking up minor surface stains on the enamel. We recommend getting at least one checkup and cleaning every six months in order to enjoy a healthy smile year after year. Dental sealants are quite literal in that they actually seal off your teeth from cavity-causing plaque and bacteria. Usually applied to the back teeth (which are the most vulnerable to decay because of their location and shape), sealants are a thin, clear barrier made of composite resin used to protect the enamel. They only take a few minutes to apply but can easily provide up to 10 years of cavity protection. Bruxism can cause the teeth to become worn down and even break if left untreated. It refers to when a person unconsciously clenches their jaw and grinds their teeth while they sleep, and it’s most often brought on by daily stress or a misaligned bite. Fortunately, a nightguard is an easy solution to this problem. It is a custom-made oral appliance worn to bed that prevents the teeth from coming together, allowing a patient to rest easy. Wearing the right safety equipment is important no matter which sport you play, but people often leave something very important unprotected: their smile! 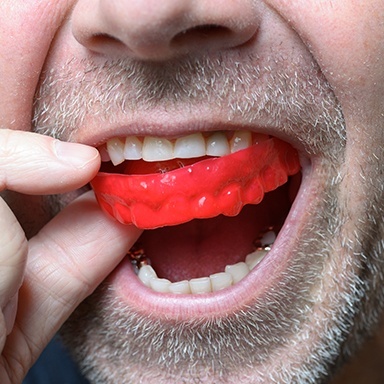 Cracked, broken, and knocked out teeth are very common across a wide array of sports, but a mouthguard is a simple way to keep any athlete safe. 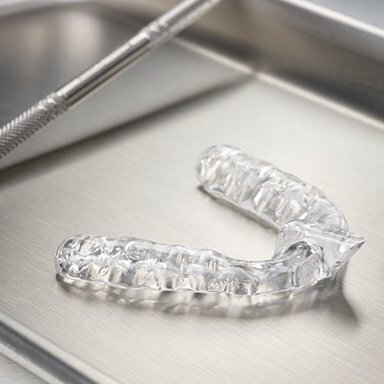 Dr. Sopel can provide you with a guard that’s specially-designed just for your smile, so it will fit better and provide more protection compared to any appliance you’ll find at the store or online. Oral cancer claims thousands of lives every year, and this is largely because the disease is very hard to detect until it is quite advanced and difficult to treat. Nothing gets past Dr. Sopel’s trained eyes, however, and he’ll perform an oral cancer screening whenever you come to see him. He’ll be able to spot any suspicious areas in your mouth way sooner than you can, ensuring you get the follow-up care you need as quickly as possible. Fluoride is nature’s gift to your smile, which is why you’ll often find it added to both oral healthcare products and community water sources. This helpful mineral can literally strengthen the enamel and repair areas of minor damage, both of which dramatically reduce the occurrence of cavities. 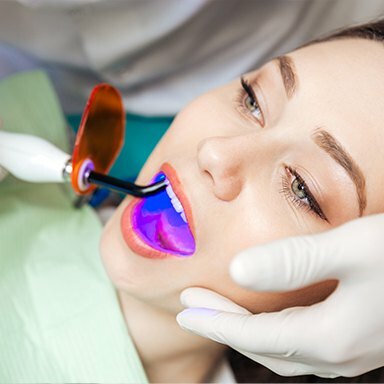 Dr. Sopel can apply a highly-concentrated fluoride varnish to your teeth at your regular appointments so you can have another weapon in the fight against tooth decay. Don’t know which toothpaste or toothbrush you should use? You’re not alone, as the nearly endless variety of oral healthcare products leaves many patients with decision fatigue. Fortunately, our hygiene team is more than happy to recommend which products would be best for you based on your unique smile. Just ask us at your next appointment! We can even provide you with certain prescription-strength products that you won’t be able to get on your own. For your teeth, a lack of oral hygiene can lead to cavities, but for your gums, neglect causes the development of an infection called periodontal disease. More commonly known as gum disease, this buildup of bacteria along the gum line can lead to redness, swelling, bleeding, and even perpetually bad breath and tooth loss if left alone. Lucky for everyone in Horseshoe Bay, Dr. Sopel can treat more than just the teeth! Using a specialized dental cleaning and topical antibiotics, he can quickly get rid of harmful bacteria to fully restore someone’s oral health.